Years ago I owned a gift basket company specializing in corporate gift giving. We helped business owners and professionals nurture their business relationships. For many companies gift giving is an essential part of their marketing strategy; done correctly, it’s a cost-effective way to not only promote good will, but also improve client retention. Don’t send a gift during contract negotiations; it can be misinterpreted as improper influence. 2| Make sure the recipient is able to accept gifts. Many large companies or government agencies have a no gift policy or limit the gift value. Call the company Human Resource department for guidelines. The Internal Revenue Service allows a deduction of $25 or less to any one person during your tax year. Most business owners think it’s too low and deem the additional non-deductible expenditure a wise business investment. Consider the hierarchy, the higher the person is, the more expensive the gift should be. Give lavish gifts such as cars and luxury vacations only after careful consideration. Do not send such things as lingerie, perfume, red roses, clothing or expensive jewelry. They are far too personal and may have sexual connotations. Other inappropriate gifts in the workplace are gag gifts or anything that may embarrass your recipient. Avoid giving alcohol and tobacco unless you know the recipient’s favorite brand. If you have contact with many people in the company, consider sending a gift suitable for sharing within an office setting. A food basket or other gourmet food gift is always appropriate. Do not put a logo on a gift if you want to create the impression that it’s coming from you personally. If you have developed a close relationship with a particular client, try to tailor the gift to him/her. Where the recipient works, what he/she does, and their interests outside the office can provide valuable direction for choosing the perfect business gift. Check their social media profiles and check out their posts for inspiration. When you take the time to choose a unique gift, it’s an immediate all-star. Always wrap a gift before giving it. Remember to enclose a gift card with a personal comment and signature and have your gift delivered no later than the second week of December. In the US, the largest percentage of gift giving is at holiday time. 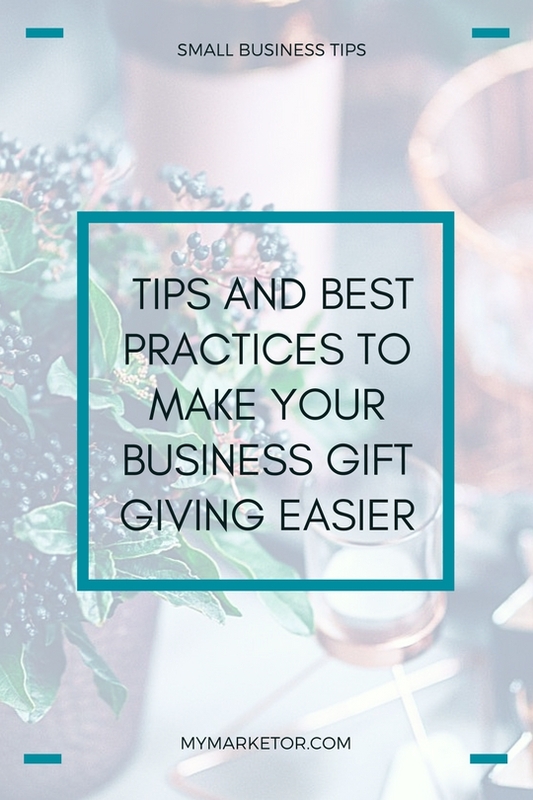 True champions of business gift giving know that sending gifts year round turns every occasion into an opportunity to nurture business relationships. Birthday gifts are bound to impress, since they show that you made an effort to learn about the recipient. Important events such as a promotion, the birth of a child, or the completion of an important project may also be good occasions for sending a gift. With each occasion, you not only extend your thanks and best wishes, but promote your business. Here is a great article that I found to complement this post: How to Thank These Five Important Types of Customers During the Holidays by MarketingProfs. This blog post was last updated on 10/02/17.